Cattrall has played Cleopatra twice. Now she explores the real character of the great Queen of Egypt, and travels to Rome, ironically Marc Antony’s city, in her quest to find out more about the historical Cleopatra. She also meets with her director, Dame Janet Suzman, who herself made an iconic Cleopatra at the Royal Shakespeare Company in 1973. Together they begin to uncover the truth behind this astonishing middle-aged love story. 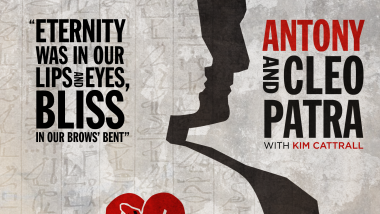 Antony and Cleopatra are no lovesick juveniles; they are mature, heroic – real – political figures. As such they were quite dangerous roles to write, let alone to play. Cattrall watches different Cleopatras, meets Harriet Walter and Vanessa Redgrave (who have also played the role) and joins actors rehearsing the play at the Globe. Cleopatra is one of the greatest and largest of all Shakespeare’s female roles, and must have required a boy actor of extraordinary skill. We look at the source Shakespeare used and how closely he copied the language of a Roman historian to describe Cleopatra’s beauty; today he might be at risk for plagiarism. But comparing one of the most famous speeches in the play with its source, line by line, reveals the power of Shakespeare’s poetry. The episode tracks Marc Antony’s first appearance in Shakespeare, as a young and powerful figure in Julius Caesar. Richard Johnson and Patrick Stewart discuss playing Cleopatra’s now-aging lover in the later play. The conflict between the public and private lives of these two historic figures was bound to end in tragedy. They fail to defeat or escape their enemies. As in Romeo and Juliet, both die by their own hands. In the Globe’s candlelit indoor theatre – a version of the playhouse where this play was once performed – Cattrall watches the actors play out Cleopatra’s last moments.